Home Games Game Reviews God of War (2018) Review | A Franchise Reborn for the Better! Nothing short of a godly transformation! After our sneak peek of the new God of War’s gameplay in Singapore, we waited with bated breath for the time we’d get our hands on the full game! Needless to say, when we got our review copy of the game weeks ahead of the game’s release, our excitement levels shot through the roof! Since our gameplay in Singapore had a time constraint (roughly 3 hours), it was nice to be able to go through the game more thoroughly at our own pace. We have seen for ourselves first-hand how this specific game has transformed the whole franchise. Anyway, let’s get down to it! 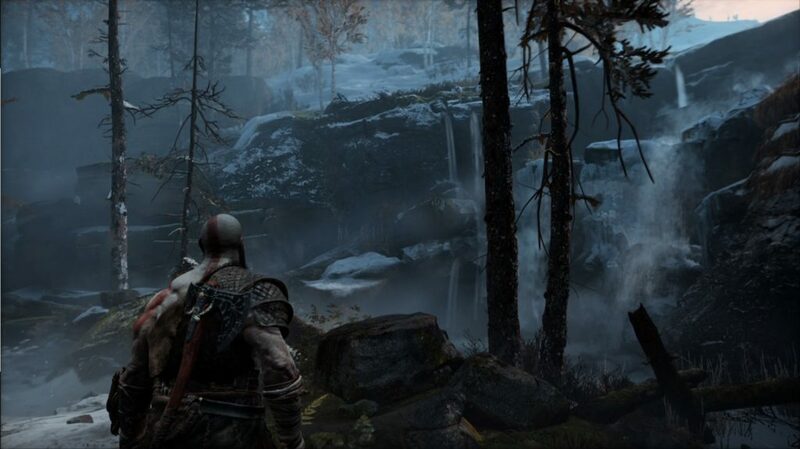 Without further ado, we’re happy to finally give you our God of War FULL REVIEW! From how we see it, this is probably why this particular game is not numbered. This specific game is SO DIFFERENT from the rest of the God of War games. Previously, it would always be a revenge story which would lead you to experience a brawl-it-out AKA I-WILL-MURDER-EVERYTHING-IN-MY-PATH gameplay. I mean, hell, he IS the God of War after all. But this time… that’s no longer the case. 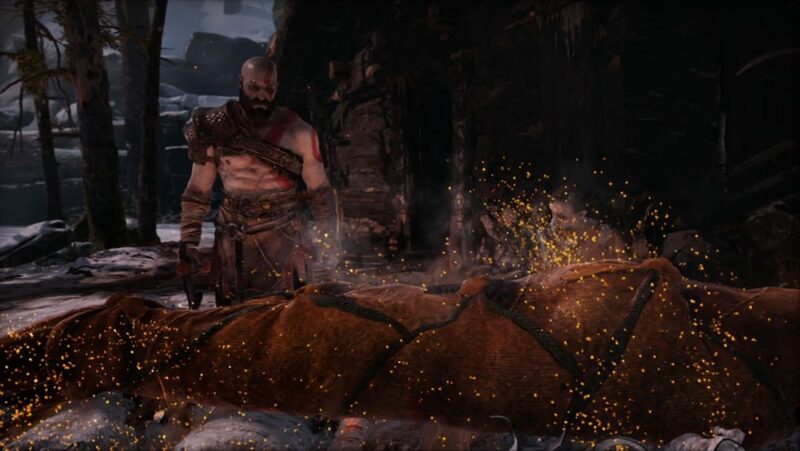 Don’t get me wrong, this is STILL the Kratos we know and love. We used to think that the reason this particular games wasn’t numbered was because this could be a reboot (just like how Tomb Raider did back in 2013). 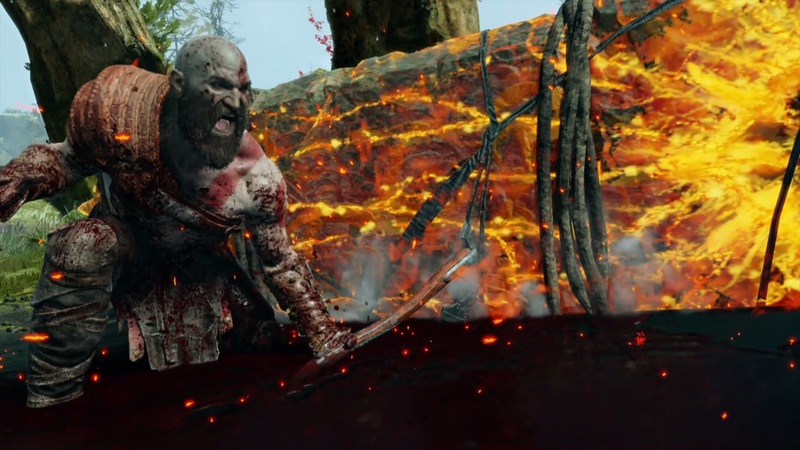 Meaning this would be a different Kratos with no connection to the previous games. NOPE! It’s still him. All the previous games still happened. This is still THAT Kratos. Although, while that’s the same, everything else about this game has changed. This is a shared mythology universe. All gods of all mythologies exist. Combat is rehashed. Smarter / More strategic battles. There is now a leveling system with EXP points, Skill Trees, etc. If you need a refresher though, you can view the article HERE!. I’ll be looking at these things from a more in-depth perspective for the purposes of this review. This was the joke about this game ever since it was announced. But you see, this truly is the core of the game. It’s about the relationship between a Father and a Son. 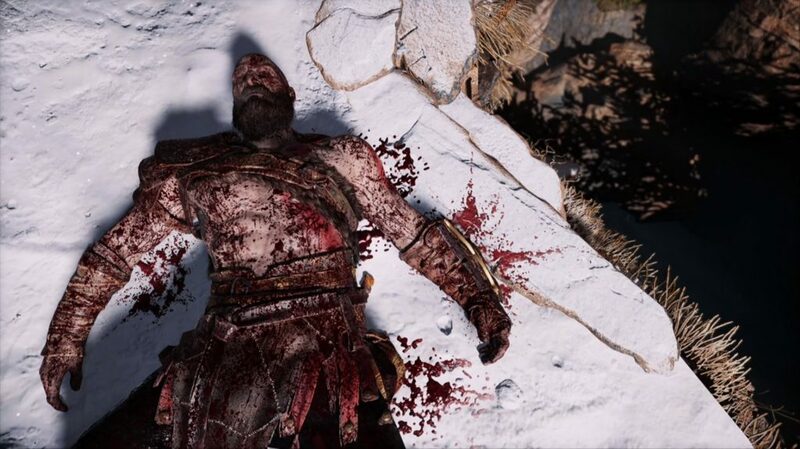 The game implies heavily that Kratos fell in-love with a woman who already had a son – that son being Atreus. 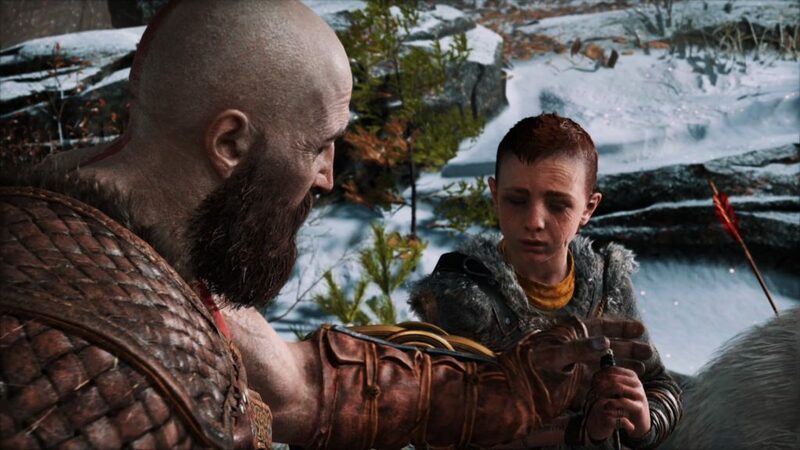 You start off the game not knowing who the woman is but you also immediately see that Kratos truly cares for this kid and Atreus respects Kratos as a father. The two share a touching relationship. 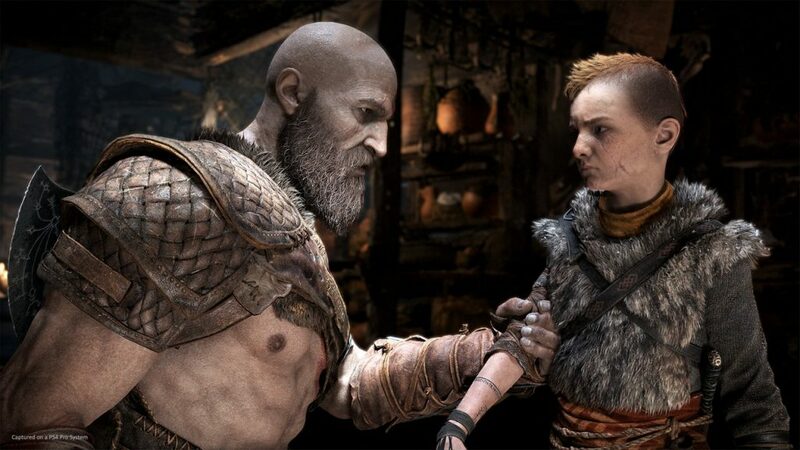 According to Aaron Kaufman, “Kratos teaches Atreus how to be a God (or Warrior) while Atreus teaches Kratos how to be human.” Throughout the game, you see Atreus grow more and more mature. 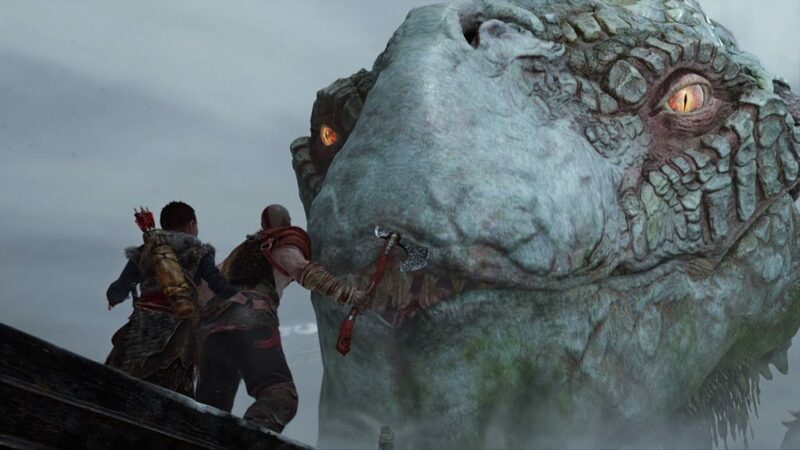 God of War captures this so well because of how well the said growth is portrayed. 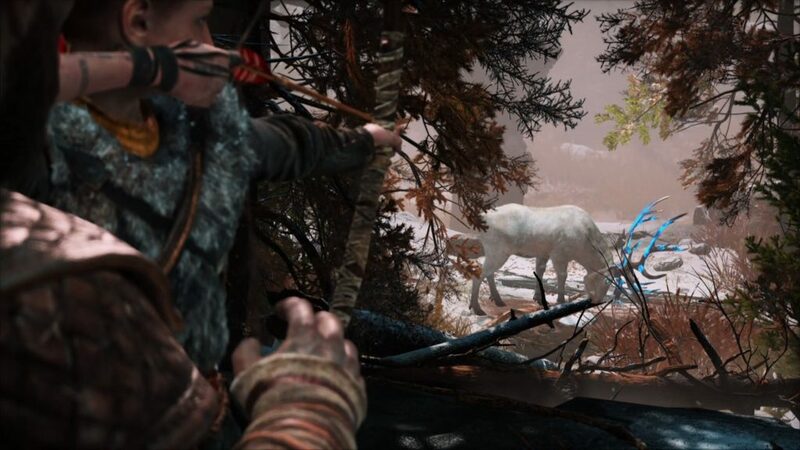 You see Atreus throw the occasional tantrum, display impatience, and even youthful recklessness. Yet all of that is tempered by his respect for Kratos. 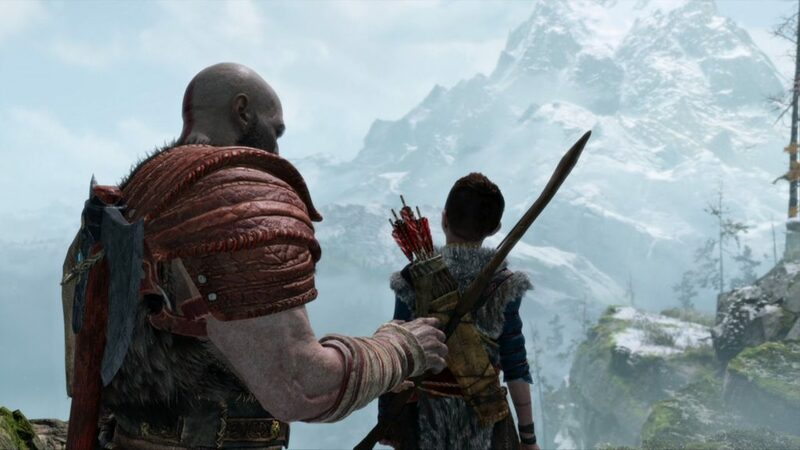 On the other hand, you see Kratos – the embodiment of rage and war as we’ve known him throughout the other games – begin to show restraint, control, and tenderness as he is affected and influenced more and more by Atreus. 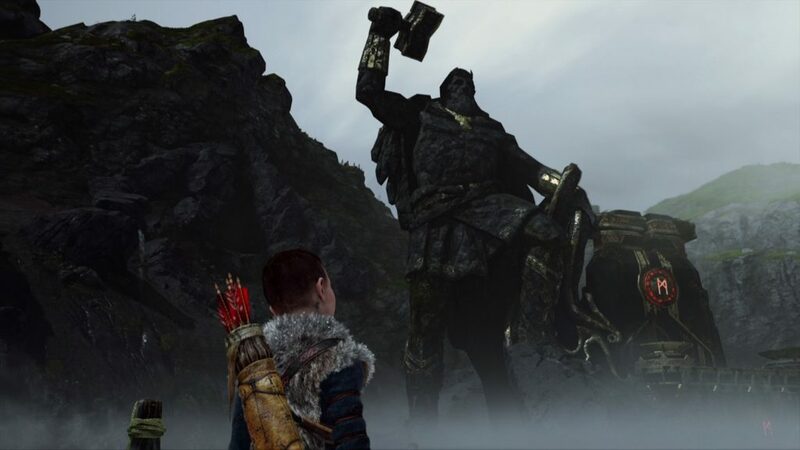 If that wasn’t enough, you are soon faced with the realization that Atreus does NOT know about Kratos’ past, something that Kratos isn’t too keen to share about. This high drama and personal conflict is what sucked me into the game and what kept me wanting more. It’s what drove me to continually advance the story as well. 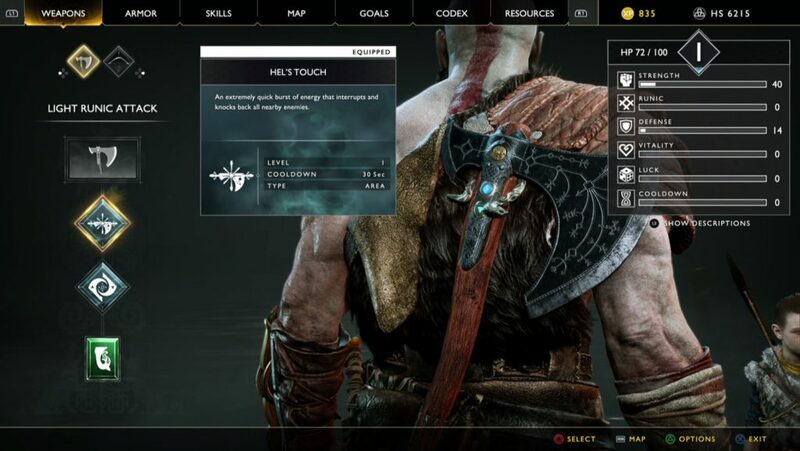 And THAT is how this God of War is different. At least for me, it wasn’t about the adrenaline-inducing combat that the series has been known for. This time, it was something much deeper. 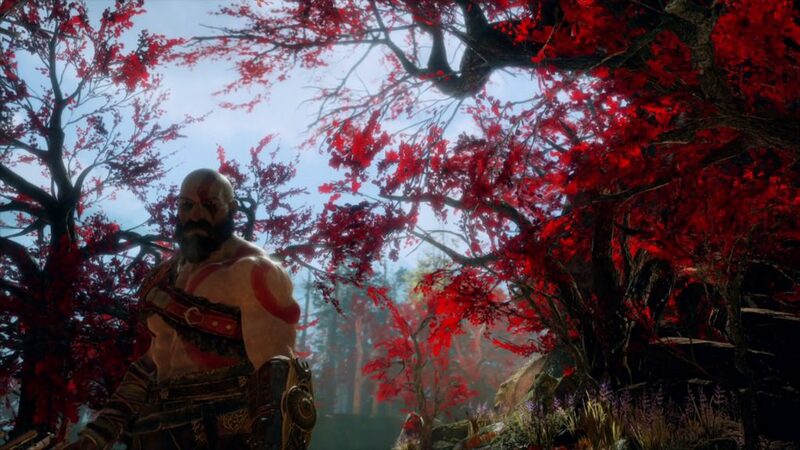 This time, it was all about finding out more about Kratos and Atreus, because this was something so well-executed as well as such a surprise to a God of War game. What’s awesome is that all this lovely story is given such an amazing backdrop. 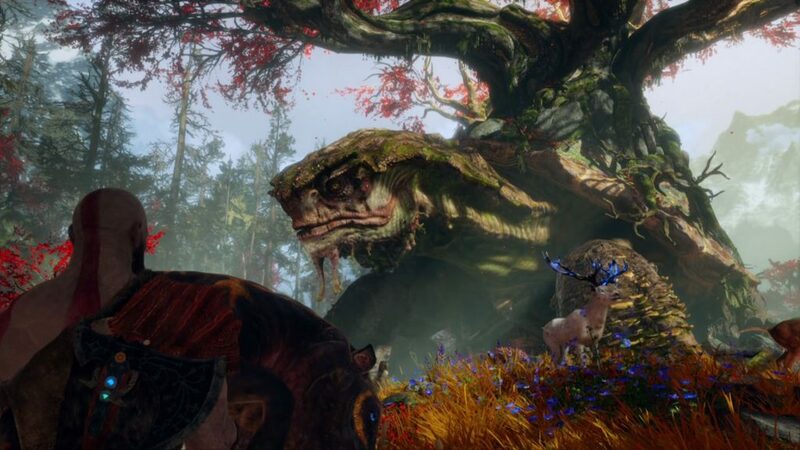 The world of God of War is absolutely breathtaking. Throughout your gameplay, you are treated to a world that can just be described as pure eye-candy. During battle, there are so many elements in the field that can be broken which makes combat, the world, and the gameplay experience that much more immersive. What’s even more impressive is that the transitions between areas are SMOOTH with NO CUTS / LOADING TIMES. This just makes the world feel so much bigger to you and makes you keep going. Combat and battle is what God of War has always been known for. It’s the type of combat that definitely gets your blood pumping as you plow through hordes of enemies… THAT’S how it WAS before. Now with a new behind-the-back unhinged camera, combat has evolved into something that requires you to be smarter in your approach. I mentioned in the first impression article that if you tried playing this game like how you played the previous games, the AI will punish you with death after death. 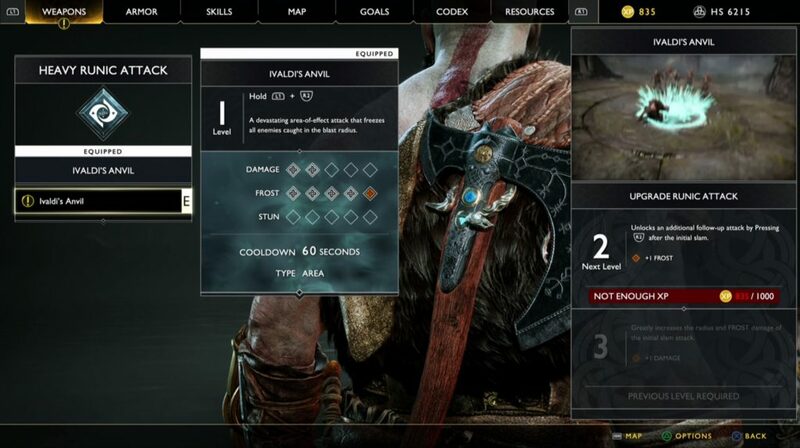 In this game, you’ll need to master the art of dodging as you combo, when to use your Leviathan Axe to freeze and or pin down enemies, when to block / parry with your shield, and when to use your Spartan Rage to decimate your foes. Here, you need to take note of your positioning and know when to not over-commit on your attacks. This is why I initially compared combat to Dark Souls as almost every encounter will require your full attention. Even on Medium difficulty, there were so many fights that I survived with just a sliver of health just because I got overly greedy. 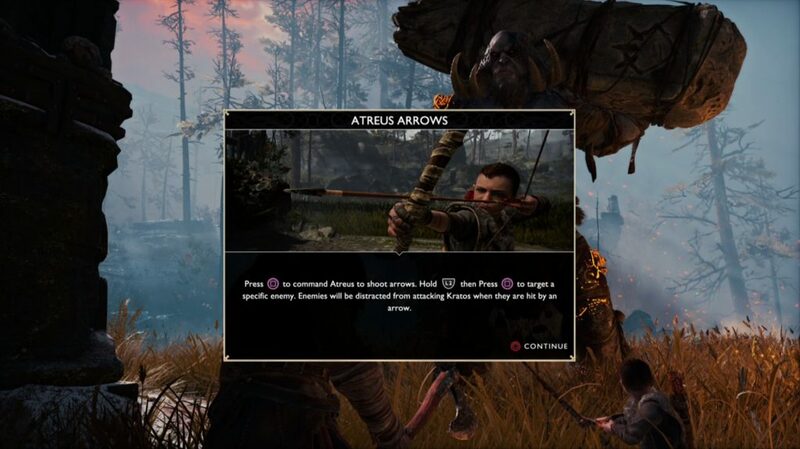 There’s also Atreus who, at the start of the game, seems to be just for distracting foes but, as you progress through your game, you’ll soon discover that he will be a vital part of your combat strategy as he pins down foes with arrows, distracts them, chokes them out, and more! 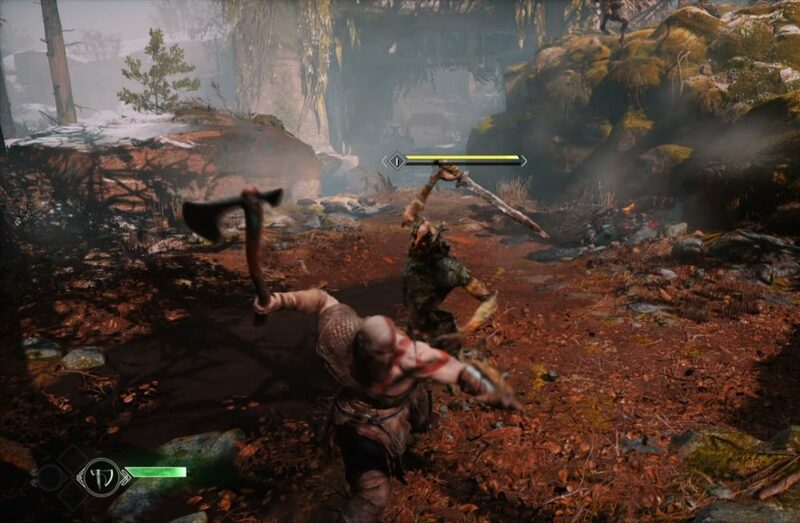 It even serves the narrative as you’ll also see Atreus’ character growth in battle. God of War is nothing short of a MASTERPIECE! Turning the game on its head to focus on story even if the series was known for combat was a REALLY risky decision but a risk that definitely paid off. This is definitely a must-play game and we dare say that this is the current best contender for Game of the Year so far! A brave franchise reboot that successfully turned something good into something AMAZING! With a strong focus on story, a new combat system, and amazing visuals, we could very well be looking at 2018's Game of the Year! Previous articleNokia Turns Up The Heat With Their Latest Smartphone Promos! Next articleNon-Spoiler Review | ‘Rampage’ Let’s Go Berserk!